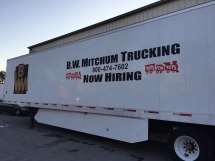 For over 65 years, BW Mitchum has been a leader in customized intermodal and domestic transportation, while still maintaining the core principals you expect from a 3rd generation family business. We pride ourselves on our reliable and personalized customer service. We provide whatever logistical support customers may need in addition to transportation, including warehousing, trans loading, and brokerage services. BW Mitchum was started in 1950. It was started with one truck and one client and through the years has honored the promise our founders made to provide the absolute best in personal service. The company was started by BW Mitchum and Norman Cooper. 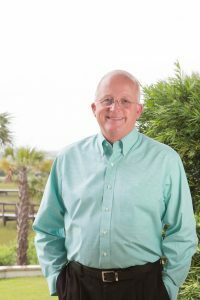 Since 1990 Ronnie Cooper has taken the helm and has continued to grow and advance the business to over 200 trucks and multiple terminals. Safety isn’t something we do, it’s a part of who we are. Drivers, dispatchers and staff work together to create a culture of safety. 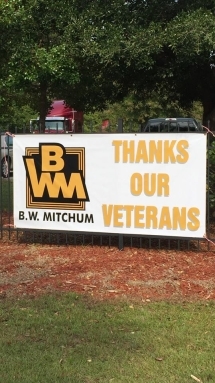 BW Mitchum is dedicated to providing excellence in SERVICE, assisting our valued customers in meeting their company objectives. Offer competitive transportation services to our customers by utilizing quality drivers and equipment. Focus on customer requirements, proactively communicate with our customers to ensure we meet and/or exceed their expectations. Continuing improvement by encouraging a culture of safety, only achieved by training our drivers and staff to focus on compliance and safety awareness.